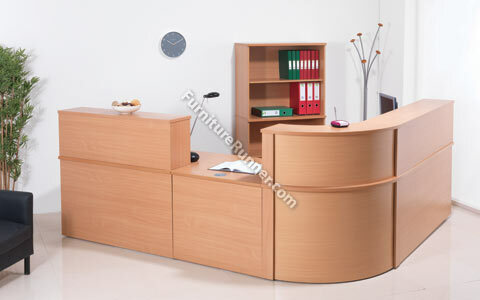 With this system you can create almost any size of reception, with the added feature of low level wheel chair access. Steel corner sections add a light and modern profile while 25mm MFC tops cope with everything a busy reception has to endure. E: 90 Degree Desk Riser.